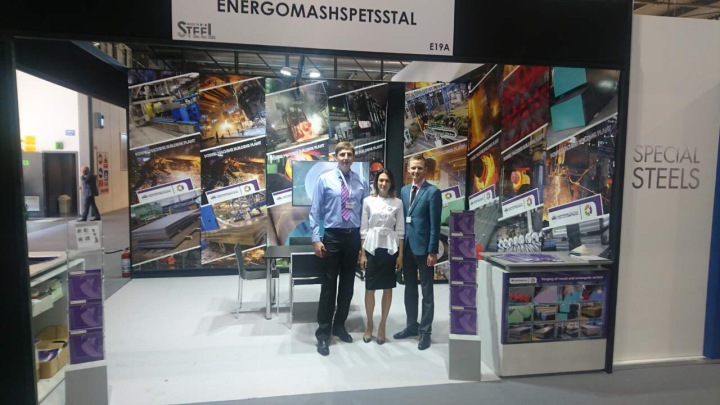 Energomashspetsstal became a participant of the Metallurgical Products International Industry Fair- Made in Steel 2017, which opened today in Milan. The leading metallurgical companies and holdings of the country and the world took part in the exhibition. The manufacturer’s large-scale expositions of equipment, machines and tools for the steel industry, metal processing technologies, industrial automation, robotics and innovations will be presented for all participants of the event from May 17 to 19. Along with the leading metallurgical companies, the team of PJSC “EMSS” will present the technological capabilities and characteristics of Energomashspetsstal products at the exhibition stand of the company. During three days the specialists of PJSC “EMSS” will take an active part in conferences, roundtable discussions, seminars and meetings, which will provide more information about partners and competitors, determine the dynamics of supply and demand for one or another metallurgical product.